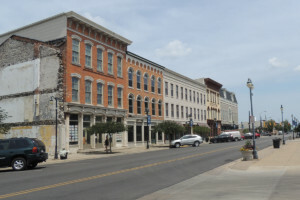 Andrew Biemiller built the Italianate style structure(far left) in 1866 to accommodate the German Turnverein Association, a German organization that promoted gymnastics and athletics, as well as the study of the German language. Mr. Biemiller, who was in the fish and wine business, was treasurer of the group and Henry Dehnel was president. 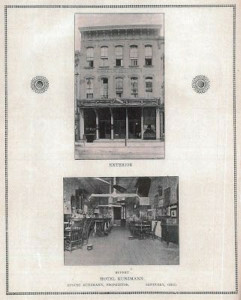 The Turner Hall Hotel was established in the building along with a restaurant and bar. 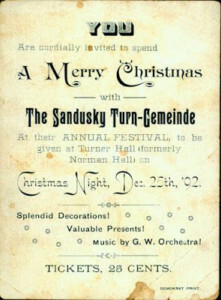 According to this announcement, Turner Hall was formerly Norman Hall. 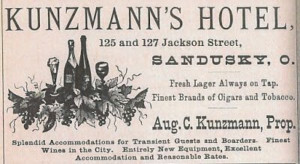 In 1890, Mr. and Mrs. August Kunzmann purchased the hotel (above) and continued to operate the business, serving the largest beer in town for 5 cents and providing a remarkable free lunch. The hotel’s location on the waterfront made it popular with Lake Erie islands residents. The Volunteers of America owned the property from 1944 to 1989, when Larry Bettcher purchased it. Completely restored in 2000, much of the original architecture was preserved. 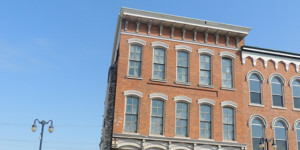 Italianate brackets decorate the roof line, with arched windows accenting the second and third floors. The arched panels over the large windows on the first floor repeat the line of the windows above. Reeded iron pilasters and posts with decorative tops complete the first floor. 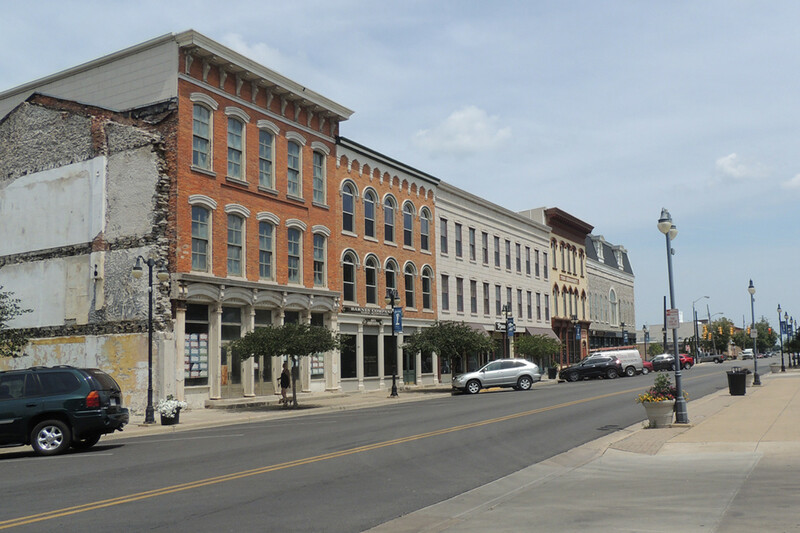 Today the building features several apartments and retail spaces. 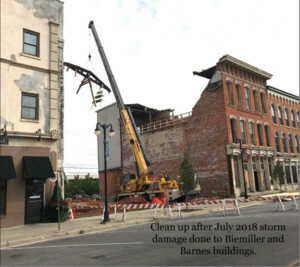 On July 26, 2018, a storm ripped through Sandusky doing considerable damage to the Biemiller building. 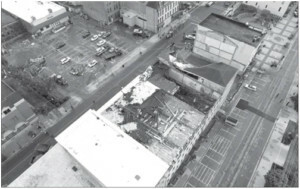 Read the Sandusky Register article HERE. 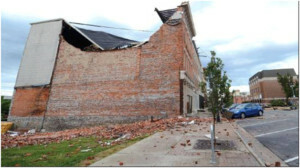 Bricks cover the ground below the Biemiller Building, damaged by a storm that ripped through downtown Sandusky and affecting several structures on East Water Street. 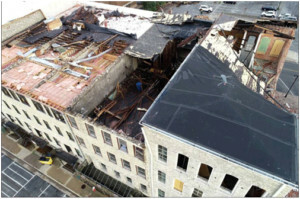 The roofs of several buildings were blown off.